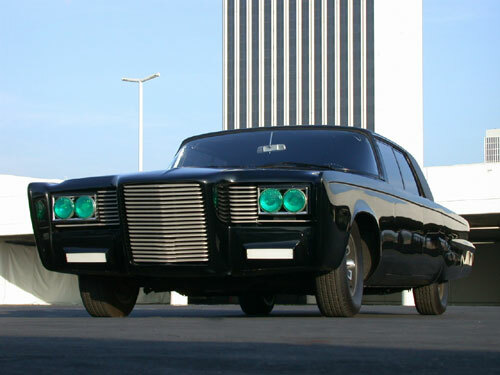 With the new Green Hornet movie in pre-production (release date January 14, 2011; screenplay by Seth Rogan and Evan Goldberg) everyone is starting to talk about the car that will be featured in the film. Rumors are flying around about who will design it, who will build it and what it will look like. If you’re over 45 years old (like me) you probably remember the Green Hornet TV series, which unfortunately only lasted one season (1966-67) and starred Van Williams as the Green Hornet and the legendary Bruce Lee as his sidekick Kato. The Green Hornet radio show debuted in 1936 and in 1940 the stinging superhero hit the comic book stands for the first time. The Black Beauty was a ’65 Chrysler Crown Imperial with an amazing arsenal, including rocket launchers; smoke guns; an oil gun in the rear; headlights that change from standard lights to special infrared green lights; a mortar; a flying deployable scanner containing a closed circuit TV monitor; a license plate that flips; a tack sweeper to remove sharp objects before they puncture the tires; and a broom to cover the vehicle’s tracks. 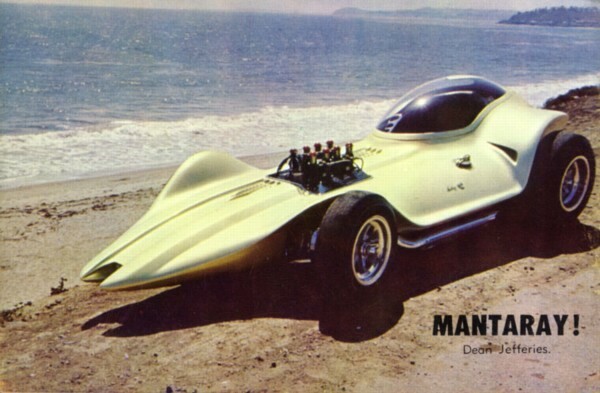 The car was built and designed by Dean Jeffries, who also designed the Mantaray, which was featured in the film Bikini Beach Party. Both the Black Beauty and the Manta Ray are currently on display at the Peterson Automotive Museum in Los Angeles. It is anticipated that the 2010 Black Beauty will have many new high-tech, state-of-the-art features. But, right now, no one is talking. I’ve heard rumors that several car companies, including Mitsubishi, are working on possible designs to pitch to the film’s producers. We’ll keep you in the loop and give you all of the new buzz as it comes in. To make the movie, workers constructed a total of 29 1964-1966 Imperials for various portions of filming and stunt work, and the producers have released a quick video giving us all a quick behind the scenes look at the building the Black Beauty. There are even a few quick action shots taken from the movie thrown in for good measure. 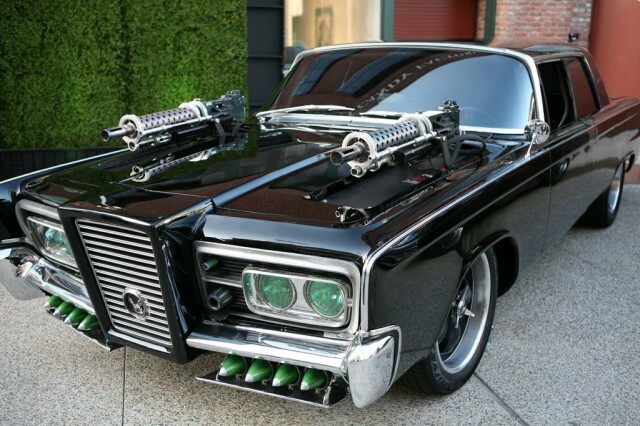 The Green Hornet is slated to hit theaters January 2011. As a fan of Batman, I also enjoyed the green hornet but found the theme song a pain to listen to. I thought the movie was great and enjoyed not only the car (nice job) but kato also . Seth played his role well. Was Dean in charge of the overall design as Baris is on the batmobile? Love the fact they stuck with the old Imperial but can’t believe they dropped a Chevy motor into it. Must be a low-budget flick. Jay Chou is filling the role of Kato in the new movie. Apparently, Chou is a superstar in Asia and gained his fame and notoriety as a musician and song-writer in Taiwan. Bruce Lee is going to be tough act to follow. He made Kato the star. Who is the new Kato? Post updated with a video and new information about the Black Beauty. Producers and director decided to stay with the original Chrysler Crown Imperial and outfit it with modern day weaponry. they should absolutely use a chrysler 300. it would pay homage to the original (car) but update it as well. Does anyone know who manufactured the Black Beauty model for Comic Con??? Someone told me it was Valley Monuments, Inc. since their group designs and fabricates themed 3-D props, scale replicas and other visual merchandising displays and stuff, but I don’t see any pics of it on their website. I can’t wait for this movie!!!!! I would love for them to find a way to use the origina (at least for an apprearance), but a 300C or Charger would be a great way to go, as well. If not, maybe a tricked out 2010 Taurus SHO. They are pretty amazing looking! The Veyron would be a nice choice. Here’s hoping that they will forego Mitsubishi’s overtures and will stay with either a retro-American beast (another Chrysler/Mopar?) or a contemporary American muscle or luxury-car treatment. It would be a shame to go the tuner route or supercar route when a big old lead sled with tons of horsepower would be a much better gadget platform and definitively AMERICAN. With Stephen Chow involved, I bet we can count on an expanded role for Kato as an homage to Bruce Lee.